When you first meet someone, that first impression stays with you – and the same can be said about a home. If you are selling your home, or just want to increase its value, there are some simple changes you can make that will go a very long way! Repainting an entire house can be pricey, but you can make a big impact by brightening up the shutters, the front door, garage door, and even your mailbox. Lighting fixtures and solar lighting will also help set a mood. 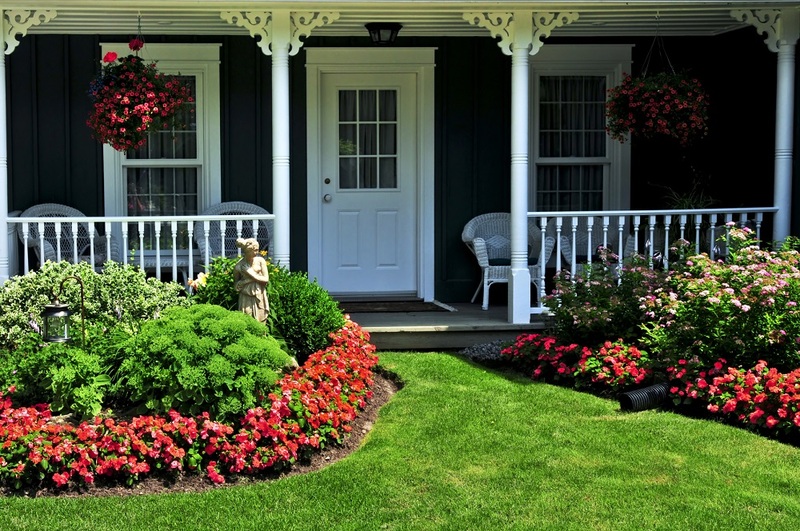 Adding fun items like a colorfully painted birdbath or a wheel barrel with flowers growing from it, or perhaps a cluster of potted plants, are all ways to make your home stand out in the most beautiful way. It might seem like a lot to take on, but instead of picking up a paintbrush or buying something new, let us help by restoring your old faded colors with one coat of Rust-Oleum ReColor by Wipe New! 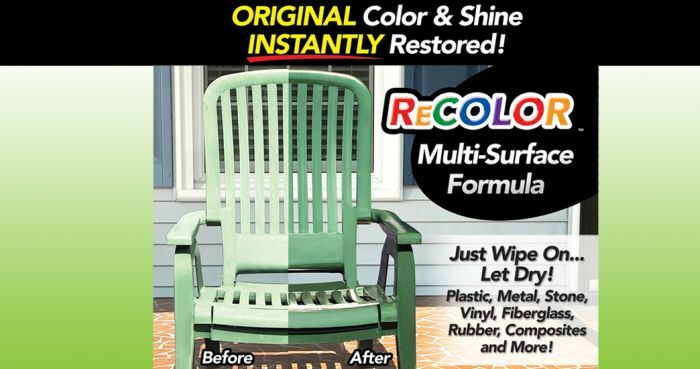 We all know that weather and time can cause colors to fade but with one coat of ReColor you can watch the original color return before your very eyes. And it will also protect your vinyl, plastic, stone, and metal surfaces by actually repelling dirt and water – it even adds UV protection. So now you can get to the business of sprucing up your home with less fuss and long lasting results. 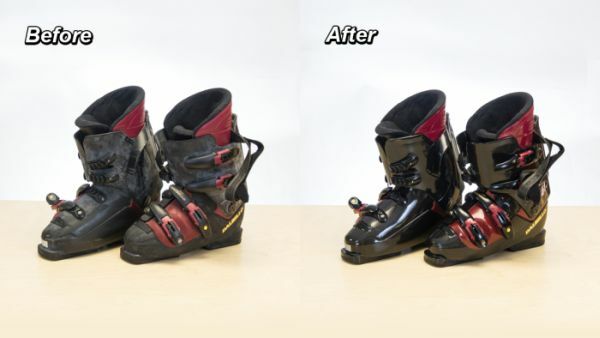 ReColor is here to help you make a great impression and no one needs to know how easy it was. Creating a second life for our things is a great way to conserve waste, save money, and get creative. There are thousands of ways that we can re-purpose various items in fun and creative ways, and though there are far too many for us to list here, there are plenty of great resources on-line that can guide you. Bathroom towel rack. Add a bamboo box to the top or bottom rung for storage space. off the floor and against a wall or standing up upright and leaning against a wall. Flowerpot holder. 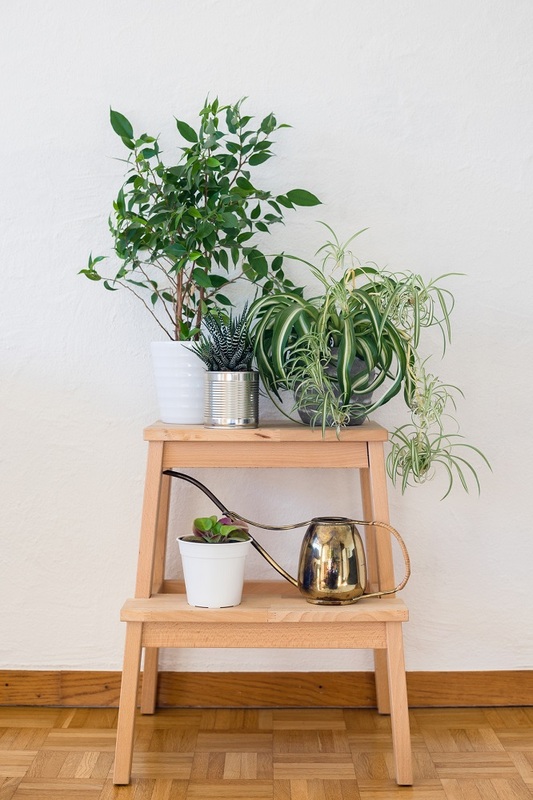 Great for either inside or out, ladders are a fun way to display potted plants and flowers. Light show. Wrap an old ladder with twinkle lights for a cool lighting display inside or out. Lean a small ladder next to your bed for a unique bedside ‘table’. Add a small piece of wood to make a shelf, add a clip-on reading light, and maybe even a dream catcher. Water it down. Add a cool stopper or cork and use as a water bottle for the dinner table or while entertaining. Hang it. 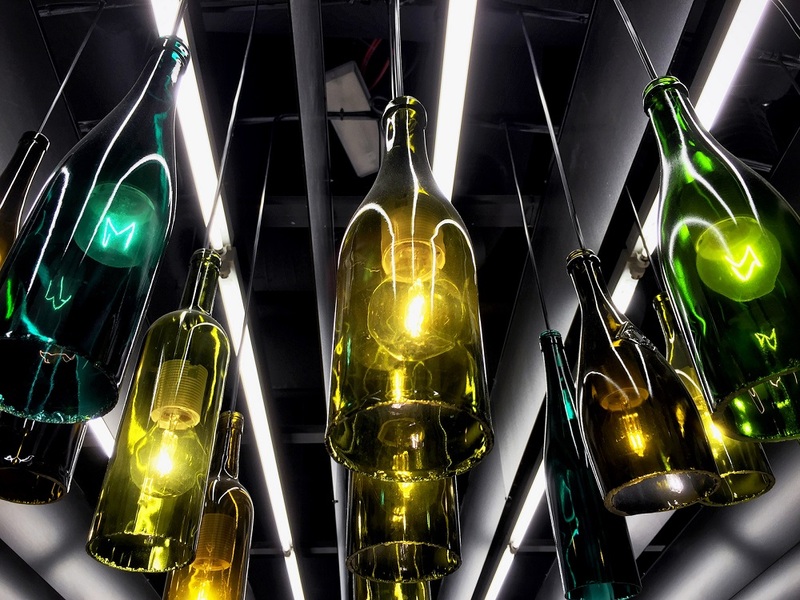 Turn a wine bottle into a lamp with a lighting kit. Write it. Create a cool vase by painting a bottle with Chalk Board Paint. Then mark it with a poem, the names of the flowers, or just a love note. Fence it in. Brace strong wooden pallets together to create a privacy space for your backyard. Table it. Turning a pallet into an outdoor coffee table is as easy as adding legs! Fast, simple, and easy. Sit on it. It’s also almost as easy to create matching couches. Stack two and secure together, then add a third pallet to the back for a backrest, then repeat for the size couch you are looking for. All that’s left is to sand it and paint it! Plant it. Vertical gardens are easy to create inside a wooden pallet with the help of chicken wire, soil, and seedlings. 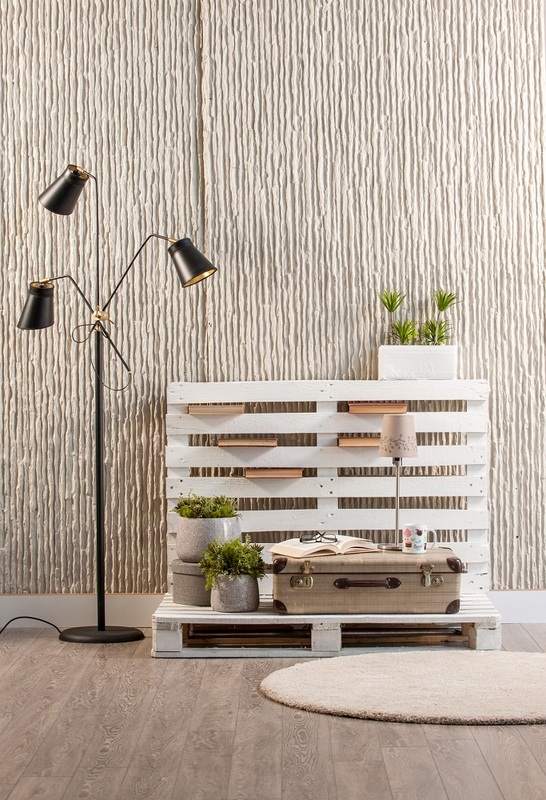 There are thousands of ideas out there so get creative and have some fun by re-purposing items throughout your home. 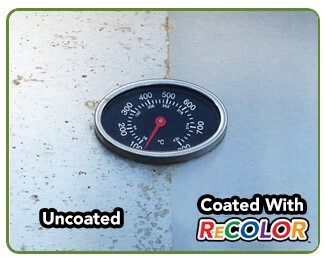 For your vinyl, plastic, stone, or metal surfaces, restore the original color by using Rust-Oleum Recolor by Wipe New! The long winter months bring cold and darkness, but sometimes it’s nice to keep things light. Here are a few fun and easy ways to brighten our homes to keep us from feeling like we’re hibernating all winter long! Twinkle lights are not just for a Christmas Tree, they can be used in many fun and creative ways to brighten your home all year round. They look great around fireplaces or large framed mirrors. Try crisscrossing them on the ceiling for a child’s room or hang them around windowsills. Candles are not just for romantic dates. Safely place candles in groups for a lovely lighting effect in nearly any space. Dimmers can create varying lighting moods with just a swipe of the finger and they are also energy efficient. For naturally darker rooms, you may need to just increase the light bulb wattage. Use lamps of varying heights throughout your home. Switch to lighter window treatments. Hanging a large mirror opens up the space and allows for more light. Avoid dark or bulky furniture. Use lighter colored throw pillows, blankets, and accessories. Painting a ceiling white and using lighter paint color on the walls will help brighten any room. Lightening floor color (wood or carpet) will make a space look larger and bring in more light. For those who celebrate the Christmas holidays, it’s a great time of the year, isn’t it? There are parties, cookies, gift exchanges, special celebrations, and family traditions, which include going to get a freshly cut Christmas tree. You can almost smell the pine needles, right? Let’s get real, though… as much as we love Christmas trees, they can get messy… and who wants to get poked by some pine needles? That’s something that can turn you into a grinch in about two seconds flat. Wear thick gloves. 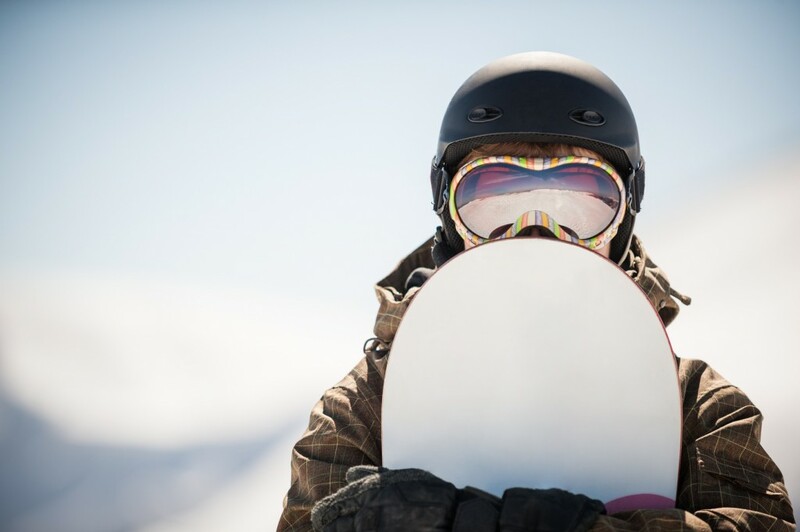 It sounds so obvious, but wearing gloves will go a long way to insure yourself against being poked. 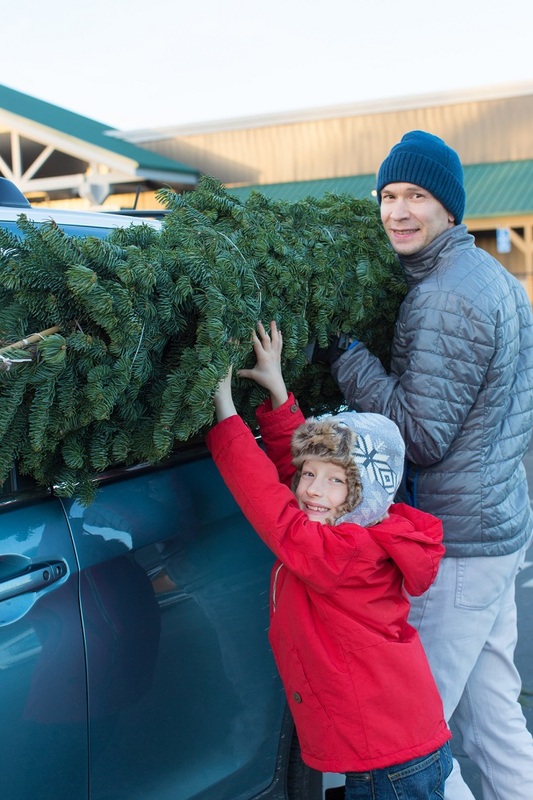 Select a tree that will either fit on top or inside your vehicle. Ask the Christmas tree person to net your tree to secure the branches. If you’re tying your tree to the top of your car, make sure that you put something down such a tarp or a sheet to minimize the scratches and tree sap. If you’re transporting your tree inside your car, make sure that you have sheets to protect the upholstery and to catch those pesky, errant needles. Make sure you have plenty of rope to make sure that you more than securely tie your tree to the roof. Once you’ve secured your tree, drive a few feet and then stop in a safe place and tighten the ropes if necessary. Take your time getting home; it’s better to be safe transporting the tree than for you, the tree, and your car to be strewn all over the road. If the tree is taking the trip home on top of your car, make sure that the trunk is pointed toward the hood of the car. Everyone should know where the water and gas valves are to shut them off if needed. Everyone should know where the emergency kit is kept. Put a very clear label on your kit, make sure it’s visible and easily reachable at all times. Also, make sure to go through the kit every 6 months to replace anything that has expired, and check that the batteries are not corroded. Paperwork: as important as the originals are, scan all imperative documents so there is a digital copy in case the originals are lost. Save on a thumb drive, cloud storage like Dropbox or Google Drive, or email it to yourself for safe keeping. Kids: If you have children, stay as calm as possible. Make sure they are able to follow instructions and get everyone to safety as fast as possible. It’s also wise to run a drill so the kids know what to do in a real emergency. They also practice at school, so you can even do it on the same day so they are completely clear on the Family Plan. Pets: If you have to leave your home, make sure to get dogs on a leash (they can get spooked and flee even if it’s not their normal temperament) and collect small animals in a secure pet crate. Make sure to take enough food and water for them to survive for 3-7 days. Bedside: If a storm or emergency hits in the middle of the night, keep a flashlight and a pair of shoes at your bedside, in case there is broken glass. Weather Radio: Particularly if you live in an area that experiences tornadoes, make sure that you have a battery or crank-operated weather radio handy. The best ones also plug in to conserve battery life, so that they are always on to warn you in an emergency. 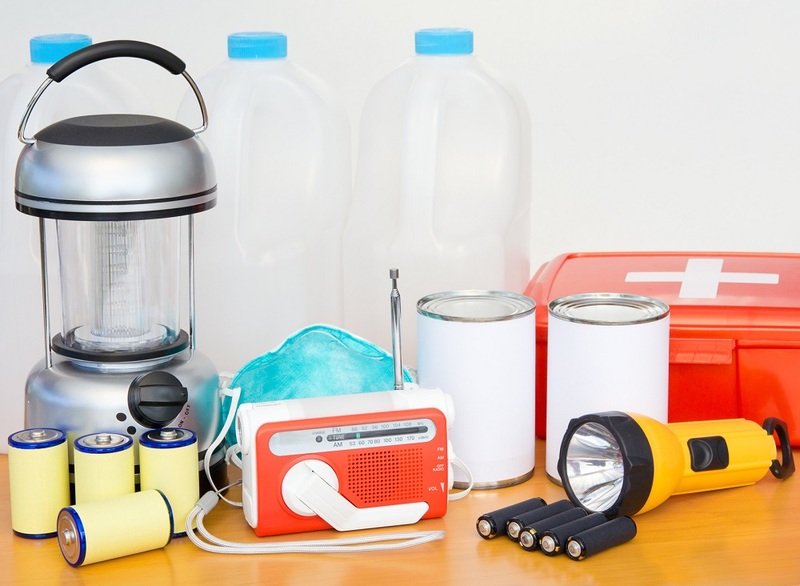 The best way to prepare for a storm is to talk through what you need to do, make an emergency kit, and always have gas in your car in case you need to evacuate. Above all, stay calm. You’re not the only person going through it, and there will be a lot of people there to help in every way they possibly can. Listen to your local and state authorities and heed their advice. 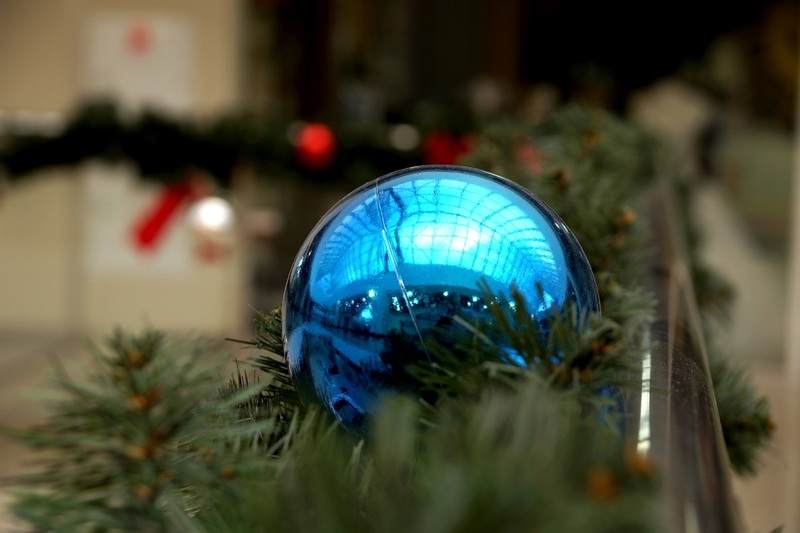 When the holidays come rolling in, it’s easy to get consumed by the stress that comes with it. 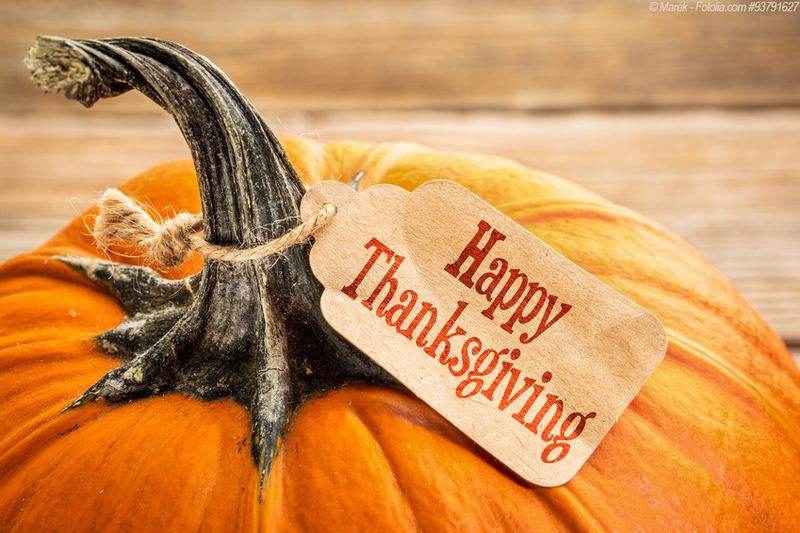 Preparing for a Thanksgiving dinner can be all-consuming, but it’s important not to lose sight of what is really important, and what all the hard work is for. Some families have traditions: maybe it’s cooking together, playing football in the back yard, or maybe a hard-won game of team charades. This year you might enjoy shaking things up a little while getting to the core of the holiday with a Thankful Tree. This gives everyone in the family and their thanksgiving dinner guests an opportunity to say what they are thankful for writing it on a tag and hanging it on a small tree. It won’t be long before your little tree will be filled with notes of love and gratitude. There’s no wrong way to do this, so make it your own! 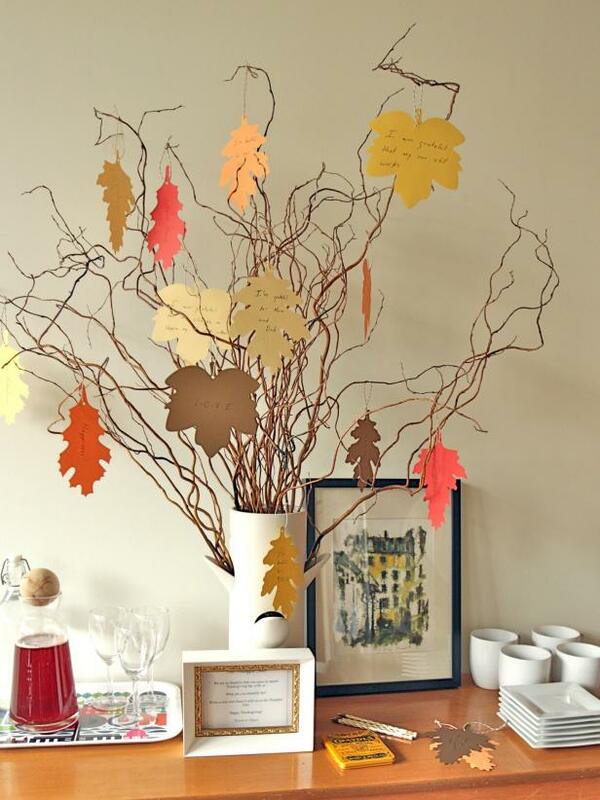 You can put a pretty tree branch in a vase, find a small fern tree, or create a 3D paper tree! Anything goes. Then have a stack of blank gift tags for your friends and family to fill out. Lastly, tie a festive ribbon through the gift tag and hang it on a branch. And you can have anyone stopping by during the holidays add a note of thanks to the tree. When the season is over, collect them in an envelope and date it. It’s a nice keepsake for years to come. Let’s face it, when we pull out the holiday decoration boxes and dust them off for the new season, we can’t help but reflect on memories from years past. Old decorations, handmade ornaments, holiday villages, and stockings fill us with nostalgia, and as hard as it is to see our old faithful front yard Santa looking so run down, somehow we can’t bring ourselves to toss him. But luckily, we don’t have to! While it’s important to replace our holiday string lights every few years, the same does not go for most of our other treasured decorations. Old plastic candy canes that proudly line the walkway, and Rudolph with Santa propped up on the roof or prancing on the yard, are welcome sights. 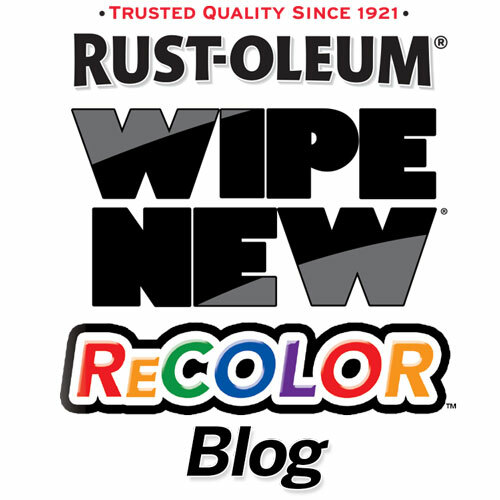 This year, make them look brand new with Rust-Oleum ReColor by Wipe New! A simple wipe will take years off while holding on to fond memories a good while longer. As you unpack your treasures, set aside all the ones that could use a little upgrade, like the star or old decorative balls and plastic signs, and then revive them with a quick wipe down with ReColor. 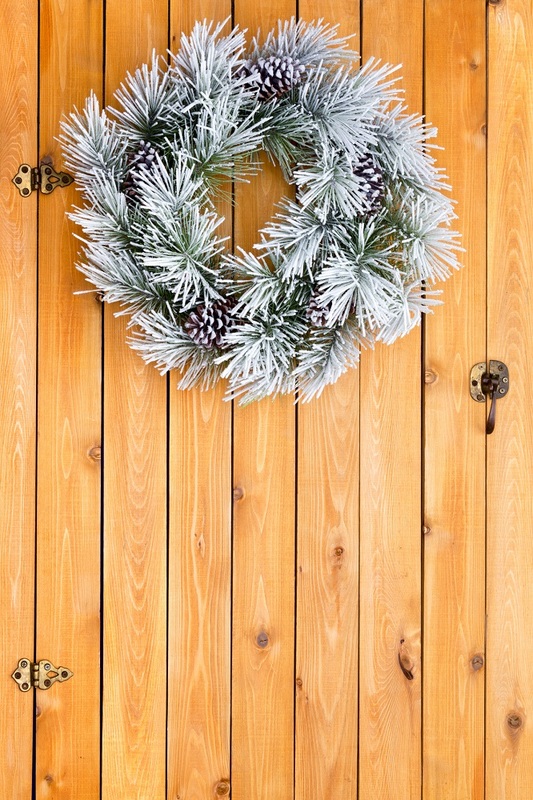 If you have an old wreath that’s seen better days, consider spraying it with white frosting spray paint. Take a handful of pretty ornament balls and place them in a glass vase or bowl to create a beautiful centerpiece. Take the garland you might normally place around the fireplace and let it line a doorway instead. Add pretty ribbon to ball ornaments and hang them in a group of varying lengths. Find a pretty branch, place it in a vase and hang small decorations and candy canes, or tie a festive ribbon to the branches. Fill a clean and empty wine bottles or glass vase with battery or solar mini twinkle lights for a gorgeous effect. Create a centerpiece by laying an old wreath flat a large plate or tray, and then place a group of candles of various heights inside of it. Wishing you and yours a safe and festive holiday season!